Euro fell down and reached the level of 1.3000. We think, today the price may form a correction to test the level of 1.3065 from below (at least) or even break it and return to the level of 1.3150. Later, in our opinion, the pair may fall down towards the main target of this descending movement at 1.2900 and only after that start forming a new correction with the main target at the level of 1.3300. Pound reached a new minimum once again and its first target. 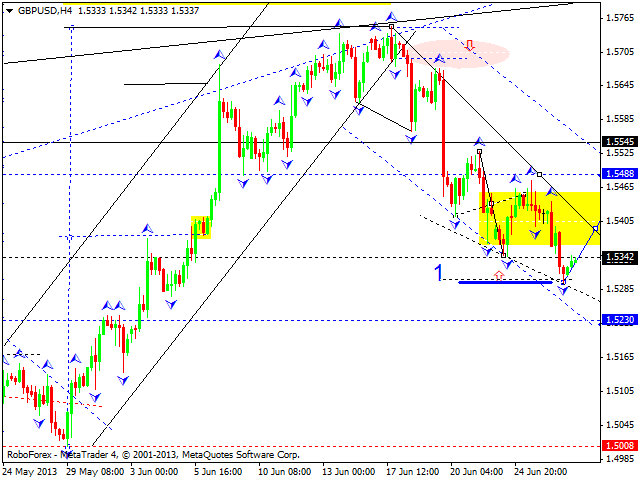 We think, today the price may return towards the second target at the level of 1.5485. 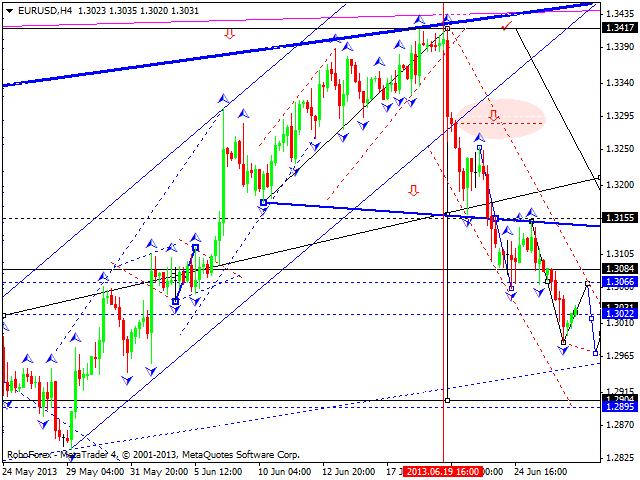 Later, in our opinion, the pair may start forming another descending structure to reach the third target at 1.5230. Franc reached its local target. 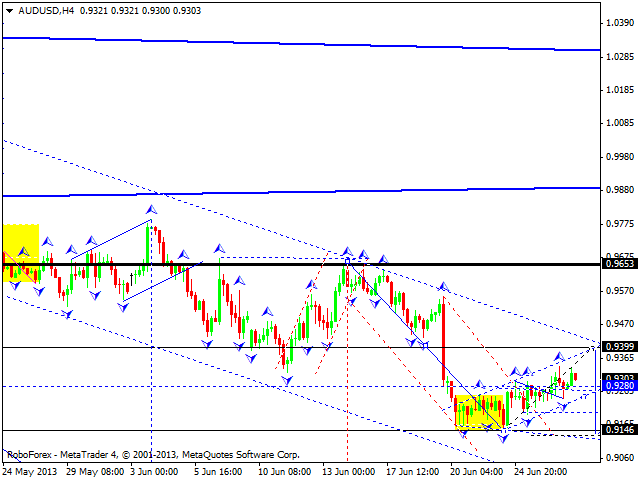 We think, today the price may move downwards and return to the level of 0.9300. 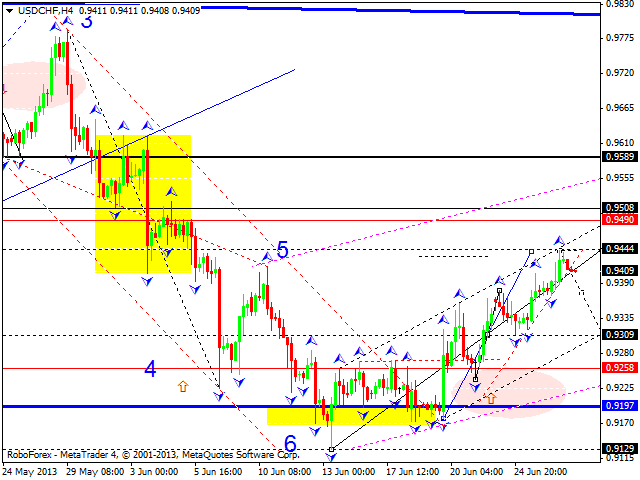 Later, in our opinion, the pair may start forming the fifth ascending wave with the target at the level of 0.9485. The USD/JPY currency pair continues moving inside a narrow trading range near the level of 97.70. The main target for this pair is to grow up towards the level of 99.15. Later, in our opinion, the pair may start forming the third descending wave. Australian Dollar is trying to start a correction. 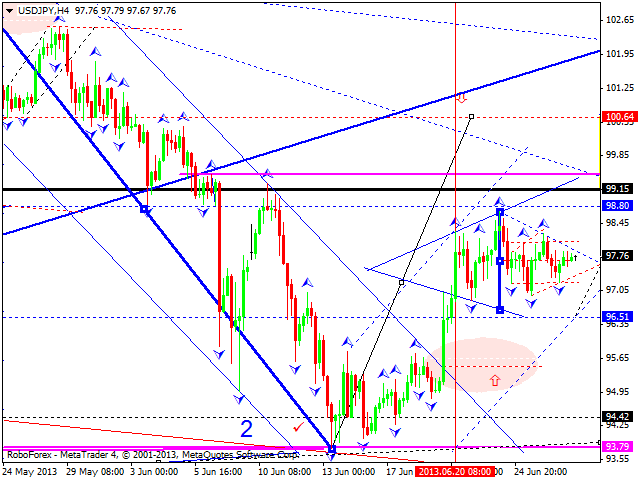 We think, today the price may reach the level of 0.94 and then continue moving downwards to reach the target at 0.89. Gold completed a descending structure. Right now, the market is trying to start an ascending correction, but it has been able to form only two impulses. We think, today the price may form one more impulse to reach the level of 1245. 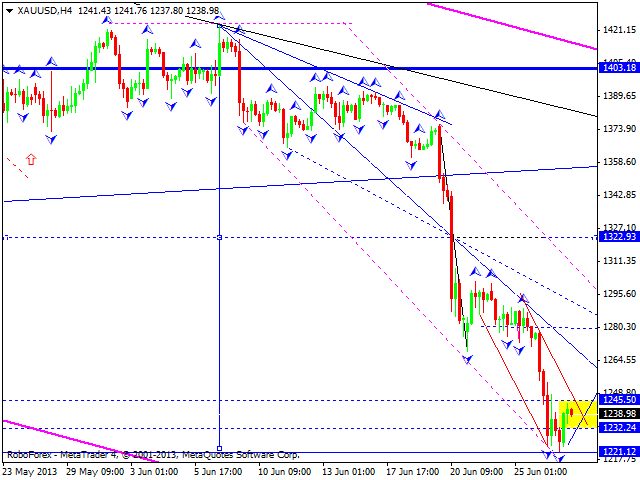 If this impulse is strong enough, the instrument may start a correction to return to the level of 1400. Otherwise, the price will continue falling down towards the target at 1100.